MARK: Biked 60 miles (see below) from Magic (Idaho) to Bellevue. MELODY: Meets an interesting couple from Germany and a motel manager who is happy to be alive (see below). Today’s mileage: 60. Total: 789 Starting point of Day 14: Castle Rock. Pretty straight-forward day for me today. I got on the bike, rode State Hwy 20 for 51 miles; turned north on Hwy 75 (near the Magic Reservoir) and pulled into Bellevue for a night at the High Country Motel because the price was right and a shower and air conditioning felt right. (More about Mark’s ride on his blog here ). 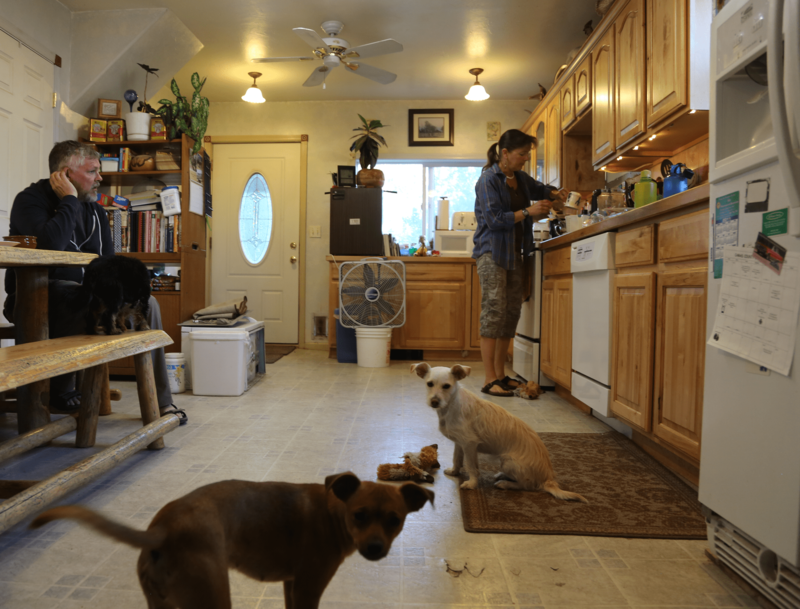 MELODY: We started out our morning being fed breakfast by our “WarmShowers” host Laura (and her dogs and cat) in her home. It turns out she cuts hay by day, but is a photographer and loves to take pictures of nature, animals and rodeos. 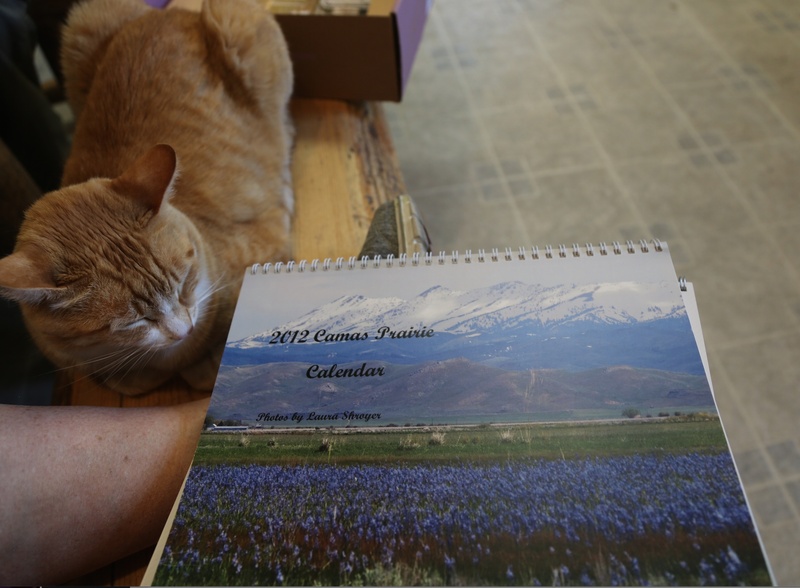 She makes calendars each year with her favorite pics. She is self-taught but you wouldn’t know it. Photography is what makes her feel alive. She even brings her camera with her in the Swarther while she is cutting hay because she never knows what she might see out there in the fields! Thanks to Laura for being a great host! 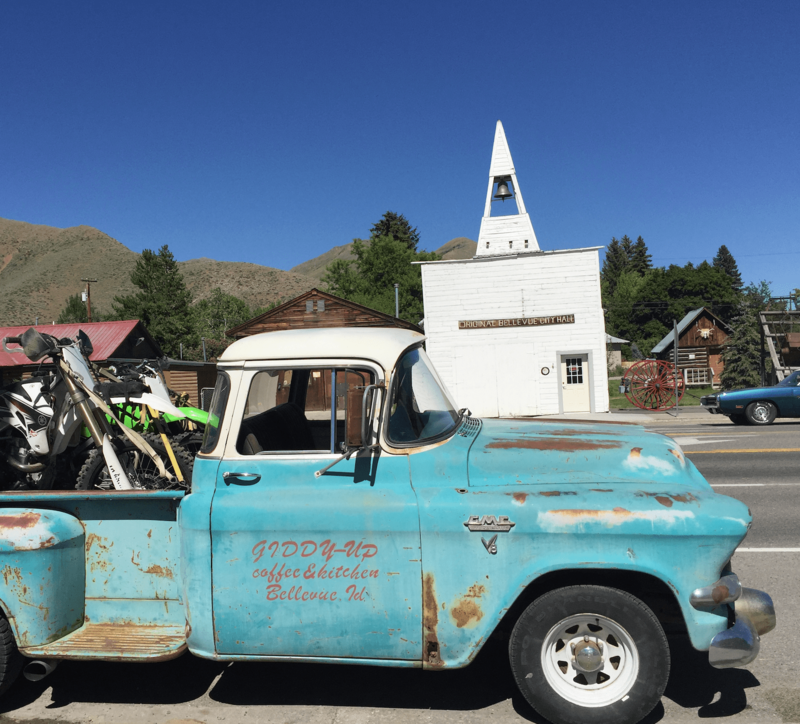 Later in the day, I took some pics of some abandoned shops in the small towns of Idaho. 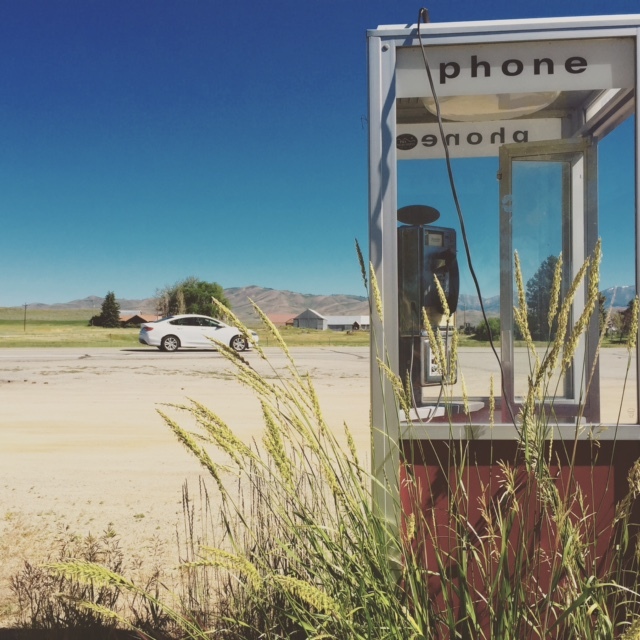 My fav is this old phone booth in Hill City, Idaho. There are ghosts of the wild west all around! Later, I took a walk (tried to go for a run but I’m not used to the mountain air!) around Bellevue to check out the town. It’s beautiful here for mountain biking, fly fishing and river rafting. But I also love all the old stuff, like the old city hall (and jail!). Really makes you wonder about the pioneers who made it to this part of the world! Finally, we decided to eat dinner with the leftovers from Whole Foods in Boise (yay for me!) and sat outside at the picnic area next to the hotel. We met this lovely couple from Germany who were touring America for 3 weeks with their foster son. It’s a looooong story, but suffice it to say that they have grown children and now they have a new son. They are kind and loving people (and fun, too!). Mark drank beers with Thomas and I drank cheap wine with Katrin after Eric went to bed. Hope to connect with them again some day. I also had nice visit with the motel manager, Sam. When I asked him “what makes you feel alive?” He said, “I am lucky to be alive at all. Each day is a gift. That’s what makes me feel alive.” He was diagnosed with congestive heart failure 6 weeks ago and almost died in the hospital. He loves making the motel nice for visitors and has lots of stories to tell. More to come in a video when I have time to edit. That’s it for today. More tomorrow!